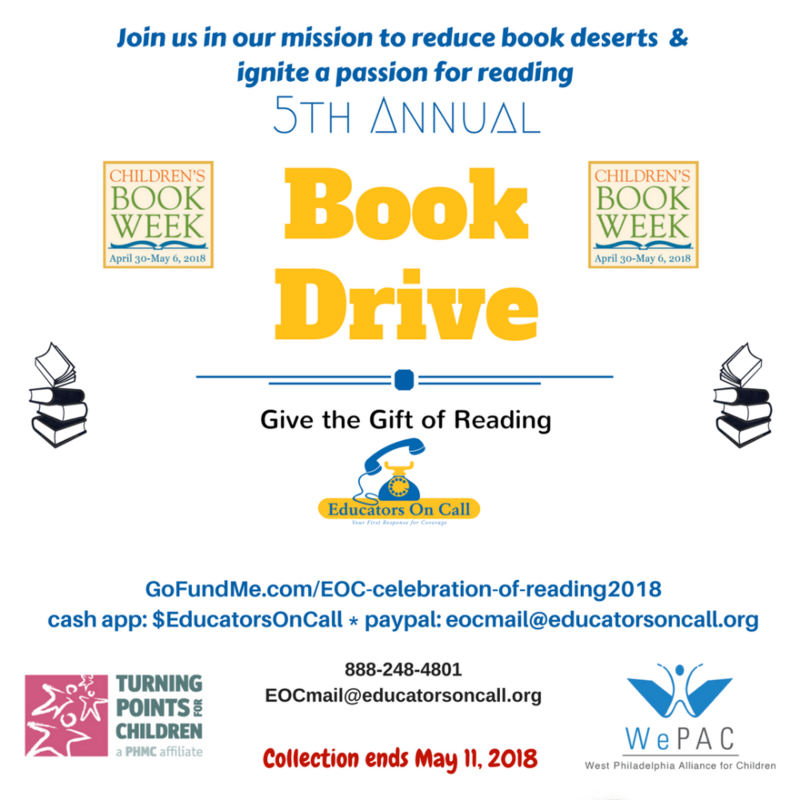 Educators On Call is hosting its 5th Annual Celebration of Reading-Book Drive. 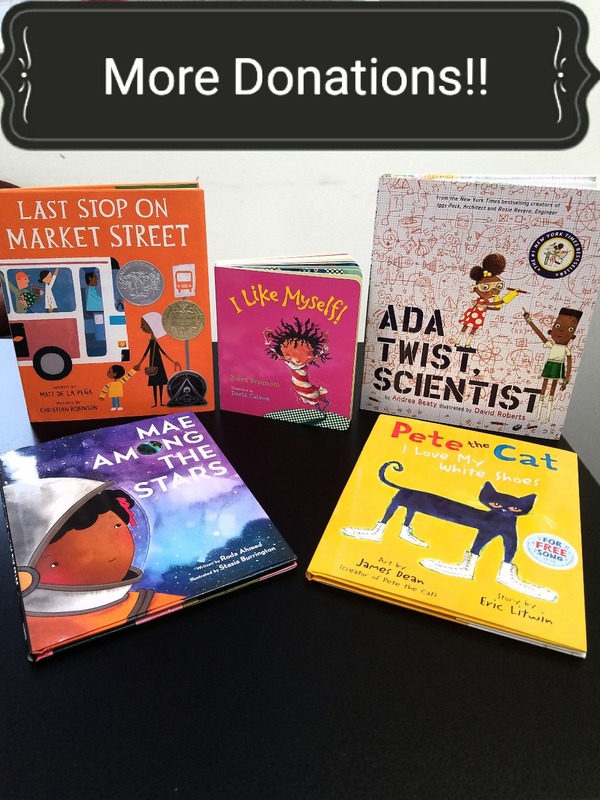 Our mission is to reduce the number of book deserts in the Philadelphia community, with the hope that we inspire a lifelong love of reading in our young people. Philadelphia is one of the lowest ranking metropolitan cities in reading proficiency. 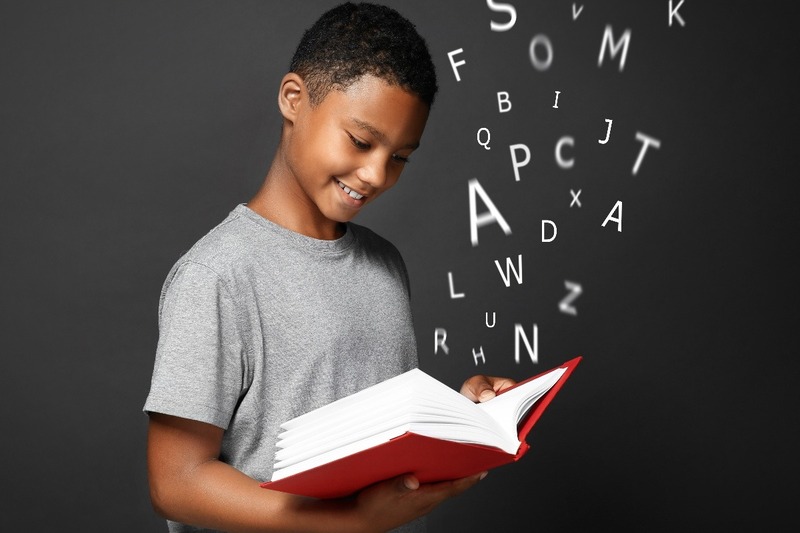 According to the most recent Pennsylvania System of School Assessment (PSSA) data 41% of fourth graders in the city are reading at or below basic levels. A major contributing factor is the many school and community libraries, throughout Philadelphia, that have closed due to budget constraints and low readership, which has impacted youth access to quality reading material. Knowing how fundamental literature is to a developing mind; we are hosting our 5th Annual Book Drive, in celebration of Children’s Book Week, to provide new and gently-used children’s books to two local youth-based organizations; Turning Points for Children (the largest social service agency for children in Philadelphia whose focus is reducing child abuse and improving the lives of children and youth across the city) and WePAC (their key initiative is to renovate and reopen school library spaces). Over the years we have collected over 3,000 books, donating our collections to Mastery Charter School- Cleveland Elementary, Methodist Services Children’s Home, The People’s Emergency Center and Youth Services, Inc. By contributing to the development of youth in our city it is our hope that the books received will increase their exposure to literature and fuel a continued desire to read and learn. We are seeking your support to make this year’s drive a success. 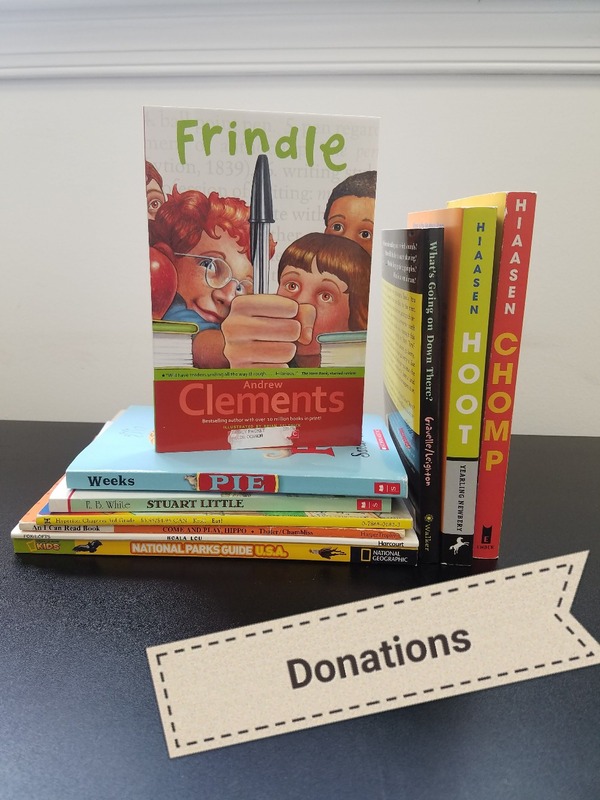 Your donations will support the book drive through the purchase of new books for this year's recipients and to support a very special celebration to be held for the young people of Turning Points for Children. This year are hosting a private screening of a classic children's film where each child will receive a copy of the novel version of the film, along with a gift bag of goodies. Educators On Call is dedicated to the young people we serve, inside and outside of the classroom. We hope you will join us in our mission support organizations making a difference in the lives of Philadelphia youth. We are helping to ignite a passion for reading! To open a world of learning and adventure for youth in Philadelphia. 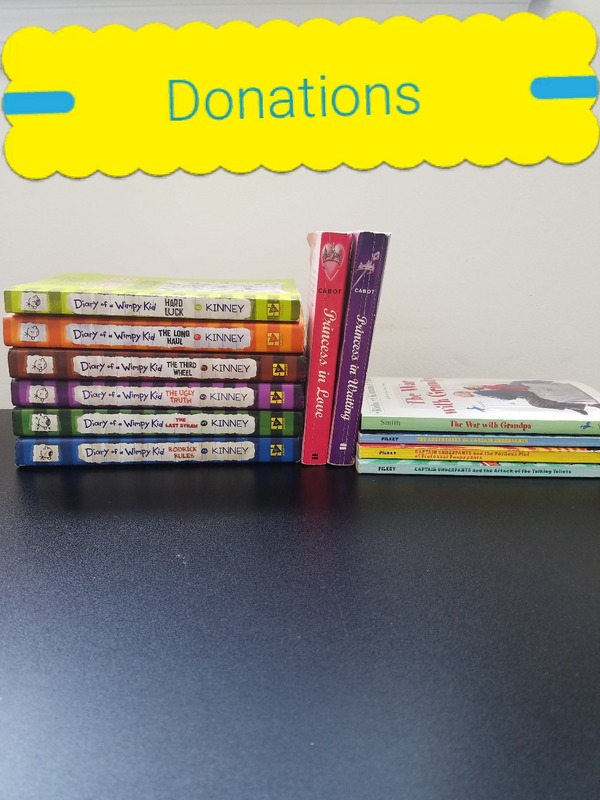 Book donations and monetary donations will make a difference for youth in Philadelphia. Our mission is to reduce book deserts in our city and ignite a passion for reading. 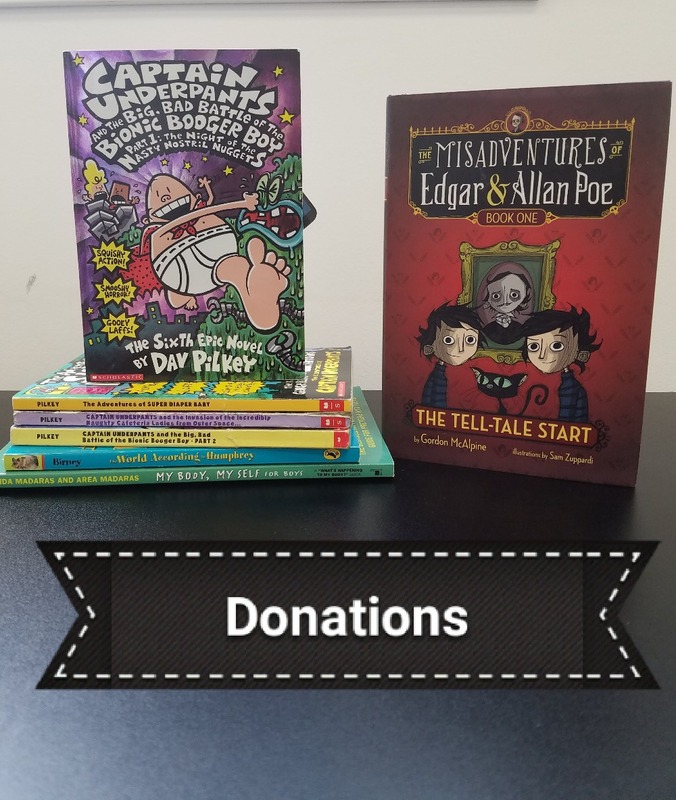 Thank you to the donors who have come by the EOC office to drop off books. Why does EOC work to eliminate Philadelphia book deserts and encourage youth to read?